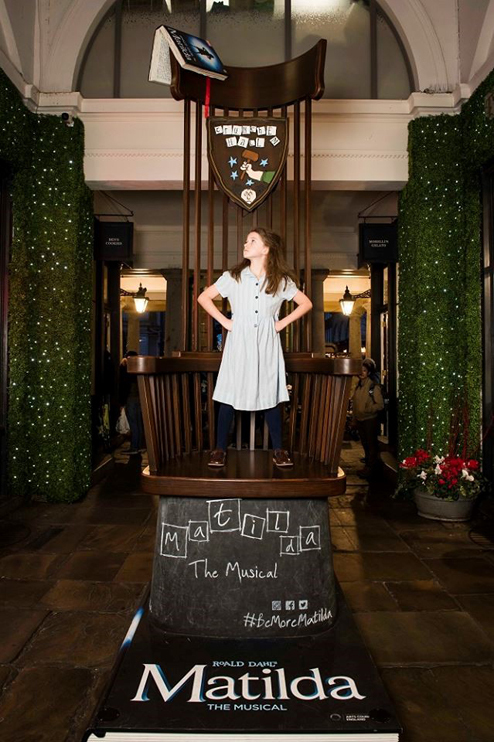 Ahead of The Royal Shakespeare Company bringing Matilda The Musical to The Bristol Hippodrome in May, Miss Trunchbull’s famous chair is going to be installed in Cabot Circus from 17-30 April – will you dare to sit in it? 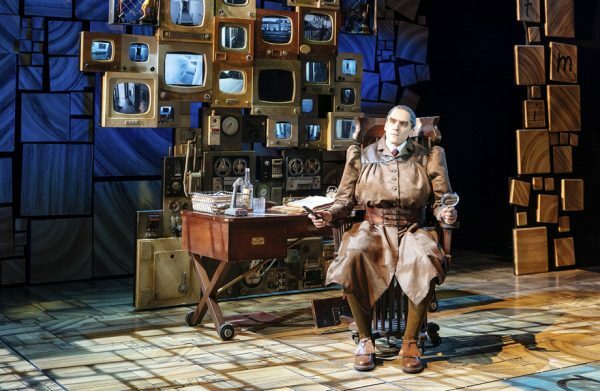 The Royal Shakespeare Company’s Matilda The Musical has partnered with Cabot Circus to offer Bristol shoppers a rare opportunity to sit in Miss Trunchbull’s chair, if they dare. Designed and built by the set and costume designer for the show, Rob Howell, the iconic headmistress’ chair, which took nine people 200 hours to create, will be positioned on Brigstowe Street in Cabot Circus from Tuesday 16 to Tuesday 30 April to delight shoppers and add to Cabot Circus’ interactive family offering. 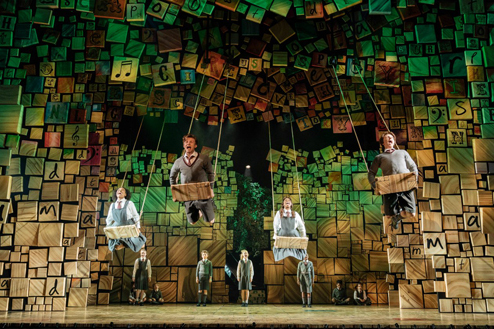 The installation is a short walk away from The Bristol Hippodrome, which is home to Matilda The Musical from 7 May – 8 June 2019. Matilda The Musical has confirmed that due to popular demand, an extra matinee show will also take place at The Bristol Hippodrome on Friday 31 May. 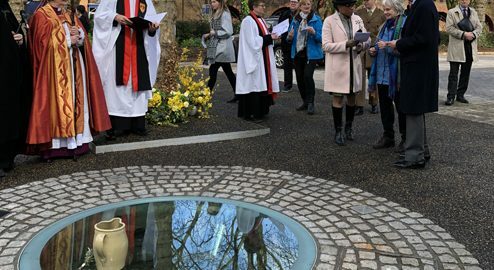 Tickets to this performance went on sale via the usual channels at 10am on Friday 12 April. Matilda The Musical is written by Dennis Kelly, with music and lyrics by Tim Minchin, and developed and directed by Matthew Warchus. The production is designed by Rob Howell, with choreography by Peter Darling, orchestrations, additional music and musical supervision by Christopher Nightingale, lighting by Hugh Vanstone, sound by Simon Baker and the special effects and illusions are by Paul Kieve. Winner of 95 international awards, including 23 for Best Musical, Matilda The Musical has now been seen by over 9 million people worldwide, having toured to 75 cities and played more than 6800 performances in the West End, on Broadway and on tour across North America, the UK, Ireland, Australia and New Zealand. Matilda The Musical had its first non-English language production at the LG Arts Centre in Seoul, South Korea in September 2018. Inspired by the incomparable Roald Dahl’s beloved book, Matilda The Musical was commissioned by the Royal Shakespeare Company and premiered at the RSC’s Stratford-upon-Avon home in November 2010, before transferring to London’s West End in October 2011, where it opened to rave reviews. The New York production of Matilda The Musical opened in April 2013 at Broadway’s Shubert Theatre and was celebrated on 10 “Top Ten” lists for 2013, including TIME Magazine’s #1 Show of the Year. Matilda The Musical swept the board at the 2012 Olivier Awards, with a record-breaking seven awards, and won four Tony Awards and a Tony Honor for Excellence in the Theater for the four girls sharing the title role on Broadway. The North America production toured 52 cities. The Australian and New Zealand production won a Sydney Theatre Award for Best Musical in 2015, and played sold-out seasons in Melbourne, Brisbane, Perth, Adelaide and Auckland. The show broke further records in July 2016 by winning all 13 Helpmann Awards for which it was nominated. Matilda The Musical is produced by the Royal Shakespeare Company with André Ptaszynski and Denise Wood as Executive Producers. The production was developed with the support of Jeanie O’Hare and the RSC Literary Department. The production is designed by Rob Howell, with choreography by Peter Darling, orchestrations, additional music and musical supervision by Christopher Nightingale, lighting by Hugh Vanstone, sound by Simon Baker and the special effects and illusions are by Paul Kieve. Cabot Circus are giving away four tickets to see the show plus dinner for four at Coal Grill & Bar – to enter share a picture on social media tagging @cabotcircus and using the hashtag #BeMoreMatilda. Matilda The Musical opens at The Bristol Hippodrome on Tuesday 7 May 2019 and plays until Saturday 8 June.